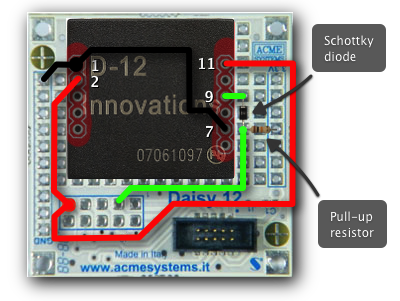 In this post I will show how to read RFID TAG in Node.js using an Acme Systems board and an RFID reader. 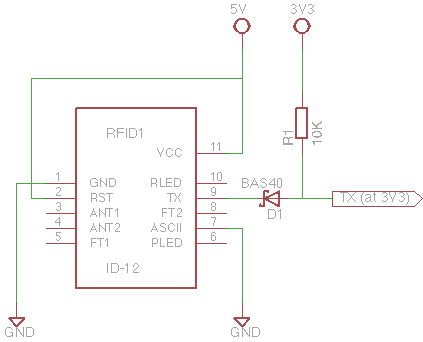 NOTE: if you use the new Innovations ID-12LA RFID reader you don’t need the schottky diode and the 10K resistor and you must connect your reader to a 3V3 pin. NOTE: the diode represented has another package to simplify the drawing. Now you can connect your custom Daisy module to your Terra board (of Fox G20 board) using a flat cable. 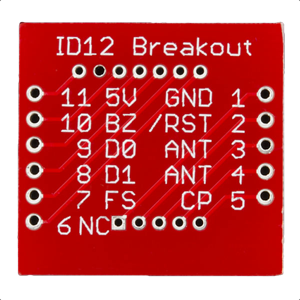 You can use D10 or D13 connector on Terra board (or D17 in Terra board base) or also D1, D6 or D8 on Fox G20 board. Well: now you can manage your TAGs as you want.